MORE CONCENTRATED FOR INCREASED EFFECTIVENESS Producing concentrated colloidal silver at 40 PPM via low-voltage electrolysis. This is of paramount importance since a more concentrated solution is more effective, as demonstrated by a peer-reviewed scientific study published in 2010 in the journal Applied Microbiology and Biotechnology. A powerful natural antibiotic, colloidal silver is a pure substance made up of sub-microscopic clusters of silver. These clusters are then held in a suspension of the pure ionized water using a tiny electric charge placed on each of the said particles. Liquid Colloidal Silver is a very effective means of fighting disease, germ, virus, and fungal infections. However, it’s not just a remedy. You can also use true colloidal silver to prevent all kinds of complications due to bacteria, fungus or virus. This includes staph and strep, making pure colloidal silver a must-have for any home-remedy kit. 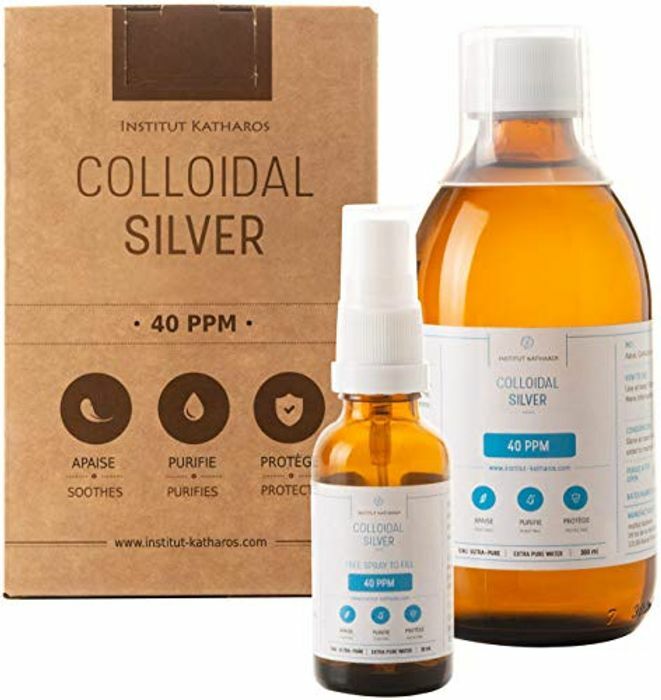 Concentration : How highly concentrated is the colloidal silver solution? Higher means stronger. Particle Size : What is the particle size of the solution? Smaller means better. Water Quality : How pure is the water used to produce ionized silver? Ultra Pure is the cleanest. Third Party Lab Tests : Are claims of the manufacturer backed by sound science? Ask for laboratory certificates. Still seems to work at my end! Good for the medicine cabinet!